HARLEM, Manhattan (WABC) -- Police have released a new sketch of a suspect in the murder of an innocent bystander, killed in Harlem amid a rash of shootings last weekend. 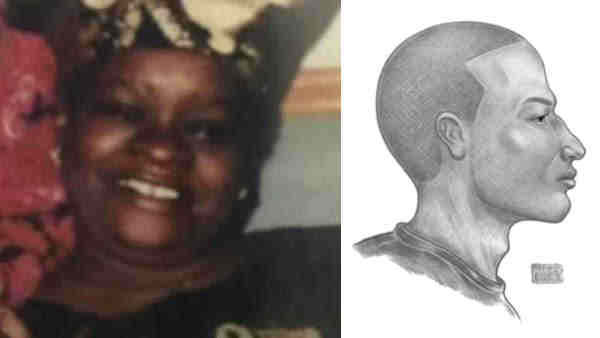 Odessa Simms, 61, was outside with her husband Saturday night on Lenox Avenue and 144th Street playing cards. Investigators said her husband went to bed and minutes later shots rang out. A gunman targeting someone else opened fire, with two of the bullets hitting Simms. She was struck in the neck and killed. It was one of several shootings in New York City over the weekend.